When I first started this site, Le Toasteur was a name I saw a couple times on various forums. I always felt it had a cool name and people seemed to have positive things to say about it. 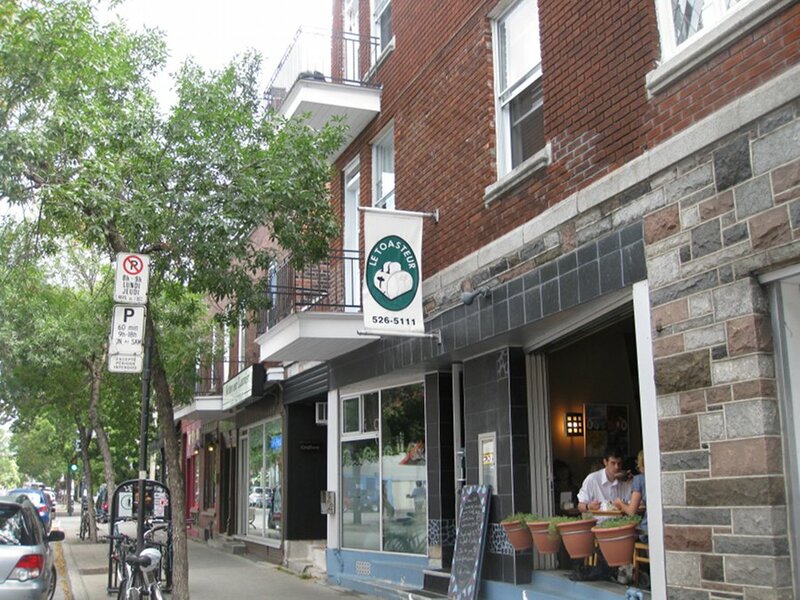 I never got a chance to check it out and I have even eaten a few times on Laurier street around there but I never got a chance to try it out. So, after almost 3 years (yes we’re almost there), I managed to make it to Le Toaster and see if it was worth my procrastination. Le Toasteur is a tiny place with a capacity of about 50 people. The inside is laid out with tables and chairs and there is a nice little corner where we managed to settle into. 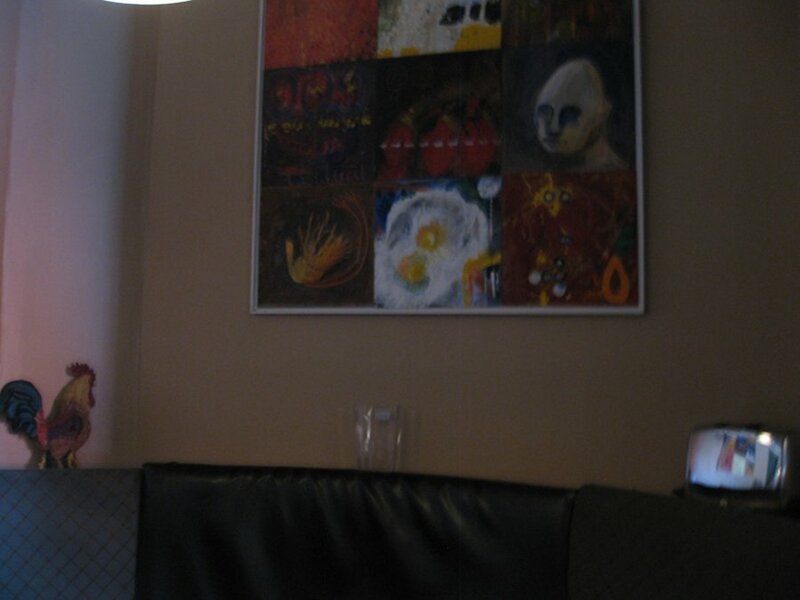 They have some art work that is breakfast inspired with paintings with eggs in them, a chicken statue, and also a toaster (which is fitting considering the name of the place). As well they are open 7 days a week which is a good thing to have in the area. My friend had the 2 eggs dish ($5.50) that came with fruit, lettuce and tomato on the plate, and a side of toast. Now, as you may know I don’t like to see lettuce on a plate for brunch, I feel it hides something or compensates for something lacking. 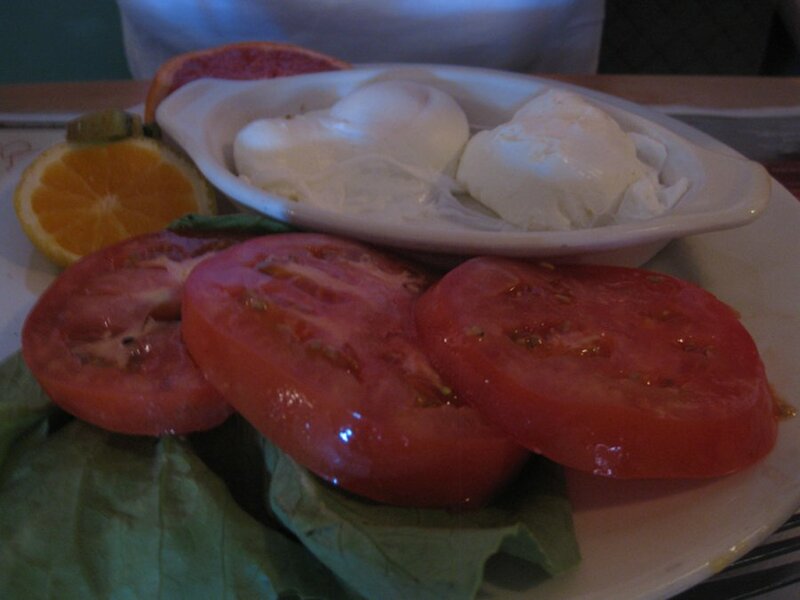 To no surprise, the dish was just good; nothing really to rate since it’s eggs and three tomato slices which, by the way, were thickly sliced. I would have liked, maybe, some potatoes or a greater selection of varied fruit on the side but then again, it’s only $5 so I guess you can’t really complain. 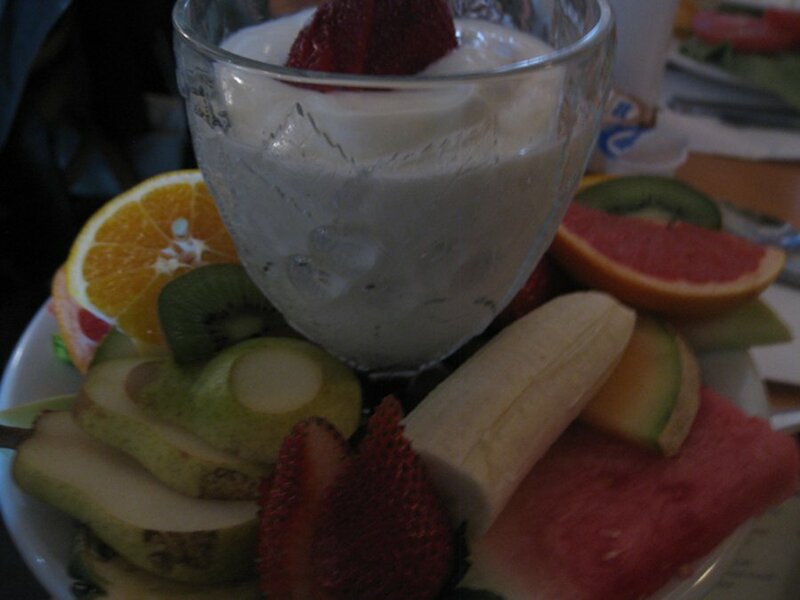 I started with a yogourt dish ($11.90) which came as a large serving of vanilla yogourt in one of those old glass sundae containers with plenty of fruit. The fruit was not that varied but it it did have pear which you don’t see all the time. Other than that, there was nothing exotic about it. Also, the fruit was nothing out of this world in regards to taste and it kind of reminded me of some people I had been on dates with before: physically there but missing something i.e. bland and boring. The dish could have been improved by maybe offering some honey, or nuts and granola with raisins, as well as more varied and tastier fruit. My main dish was the eggs Benedict smoked salmon ($14.50). I know I keep ordering this but I like it and you can tell a lot about a place on how they handle their eggs Benedict. This dish came with fruit and potatoes on the side. The fruits were OK, but the patatoes were lackluster; they were too large and the inside was not warm. The egg component of the dish, on the other hand, was well done and the hollandaise sauce was of the right amount. 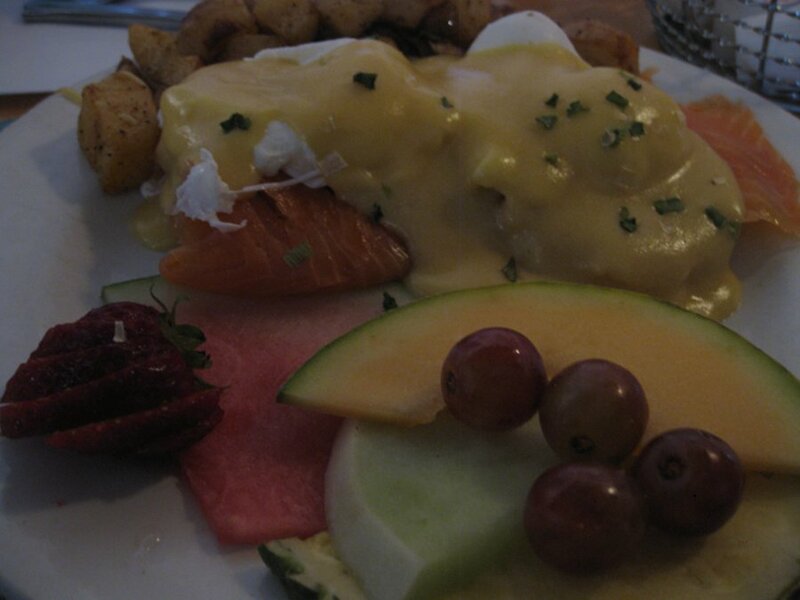 The salmon, too, was very tasty and the eggs were well poached. I did feel that the dish was about $2 too expensive considering you could get the same for around $12 at most places in the city and there was nothing really special about this dish that merited the price hike. I don’t mind paying a little more as long as I get something worthwhile. Service was good and our waitress was nice and refills came quite frequently. The bill also came quickly. Overall, our interaction was limited and short. The menu has some vegetarian options and you do have choice as well as 2 health options. There are no vegan options. Overall, I felt food here is a little bit more expensive than it should be. The yogourt dish disappointed me, the potatoes were not happening and the smoked salmon eggs Benedict should not have been at the price it was at. The place is cute and fun, the décor is is nice and I have no complaints about the service but the menu needs to be tweaked to offer more if they wish to charge those prices on some items.